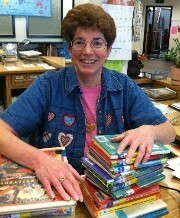 Many of you know our librarian at Silver Oak is Mrs. Karen Hokanson. She loves to work with parents who want to help their children learn to love reading. Why? Because Silver Oak has the best selection of library books in the district. She is even willing to check out an extra book or two if you (or another responsible adult) come into the library with your child. Kindergarten parents take note: this is also possible for your kindergarten students if they come with a responsible adult. Not only is she passionate about books, Mrs. Hokanson is also a rock hound. That's right, she is always ready to share rocks or help students identify their rocks. Next time you are in the library, take a look at the big fossil from her yard. 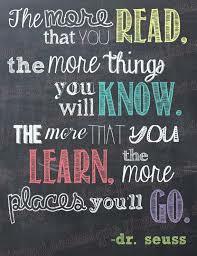 Please take the time to “check out” Mrs. Hokanson, Spider, the rocks and our wonderful, Silver Oak library! Silver Oak has an outstanding library and media center containing a wide variety of books, computers, audio-visual materials, and other equipment. 7:45 a.m. - 2:30 p.m.
Friday 7:45 a.m. - 2:30 p.m.
Students will take care of the books that they check out. Students who have not returned library books or paid for lost library or textbooks will lose their library privileges. One way to celebrate your child's birthday is by participating in Birthday Book Club. By joining our Birthday Book Club, you not only celebrate your child's birthday in a healthy way, you also help build Silver Oak's library. A notice is sent home prior to your child's birthday. If you wish to participate, you complete the form and return with a $10 donation to your child's teacher. You may also include a wallet sized photo which will be placed inside the book along with your child’s name. When the form and donation are received, the students will be notified to visit the multipurpose room to select a new book purchased by the PTO. The child will sign the book and donate it to the place of their choice. The book can be taken home, read by your family and then returned back to classroom/school library. Mrs. Hokanson is always on the look-out for volunteer help to do all of the nifty things we want to in our library. Stop by or email Mrs. Hokanson to find out more. If you are wondering if a book is the appropriate AR level for you or your child, there is a webite that can help you! Click on the AR BookFinder link below to find out the AR book level and if the book your child is reading has an AR test. Most, but not all library books have an AR quiz. Stop by the library and meet Spider. She is Mrs. Hokanson's purple pet tarantula. Spider turns 16 years old in 2016. She can live to be 25 years old. Go check her out. She’s quite furry (the tarantula, not Mrs. Hokanson)!